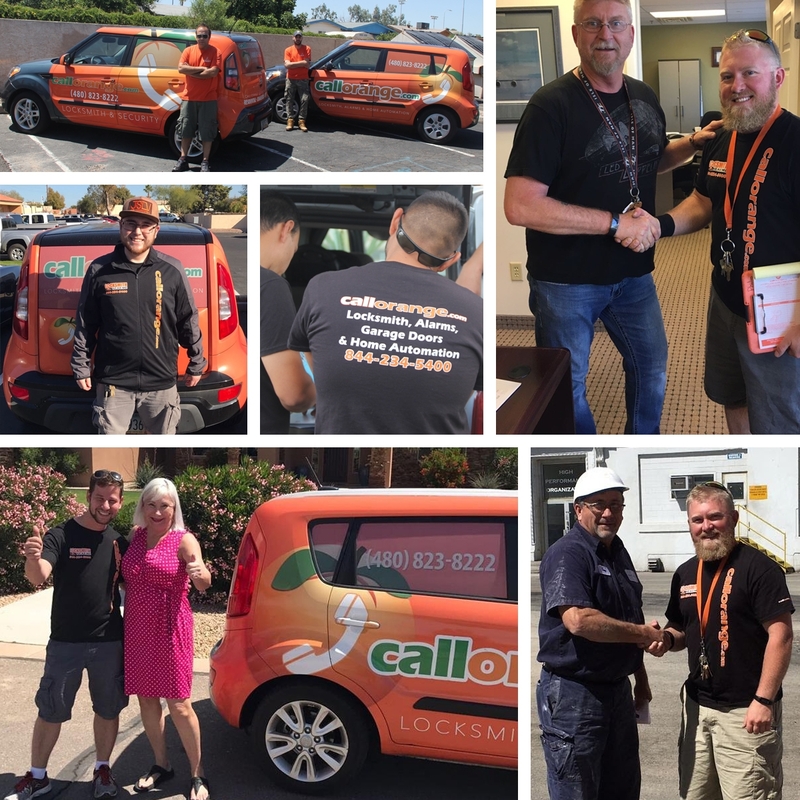 TUCSON, Ariz. – July 12, 2017 – PRLog — CallOrange.com, LLC, a promotion company of locksmith, alarms, home automation and garage door repair services has announced that they have expanded their mobile locksmith service offerings in Tucson from just mobile to now having opened a physical office location in Tucson, Arizona. 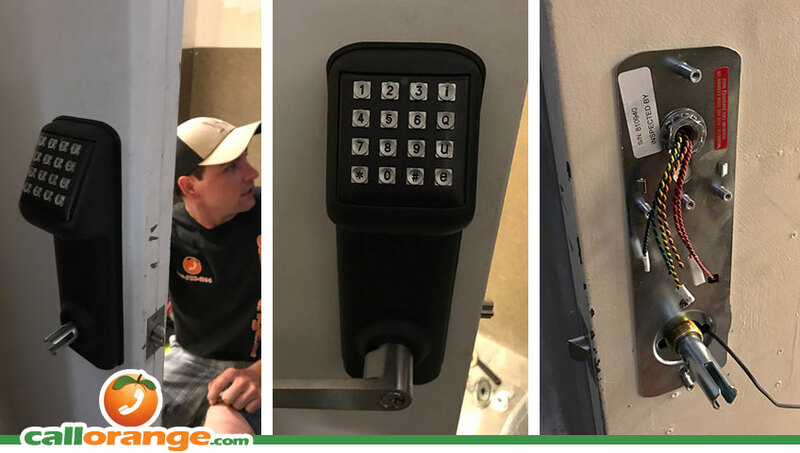 “In the last year our mobile locksmith services have really grown in the Tucson area and it became time to expand service by opening an office in the city.” says Yuvi Shmul, founder of CallOrange.com. 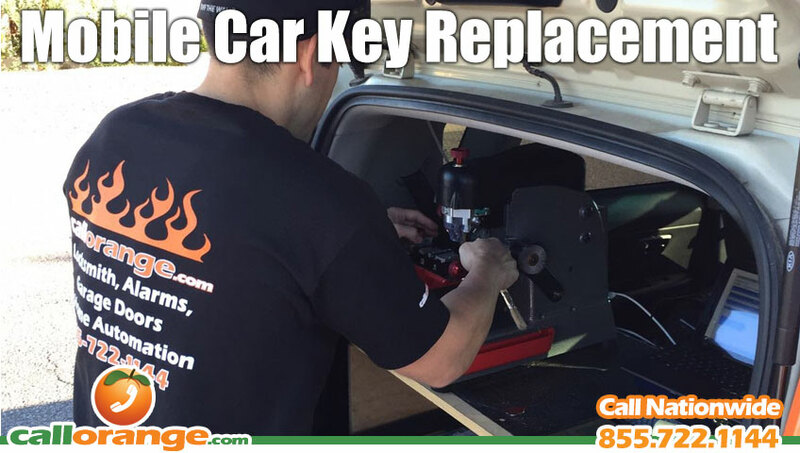 CallOrange has been offering their mobile auto locksmith, residential locksmith, and commercial business locksmith service in the Tucson area for over a year. 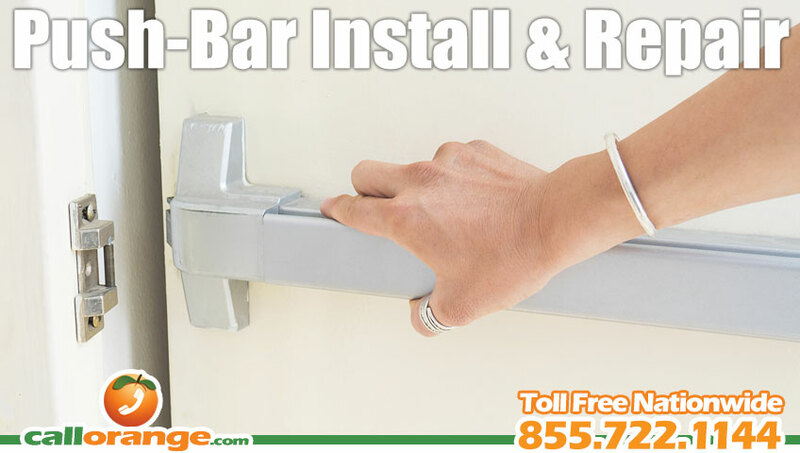 Now with the new location and expansion of service they are also expanding their service offerings by also providing garage door repair service and welding service for gate and lock repair. Don’t like keys? Keypad smart locks are the solution! Keyless door access means no more keys! 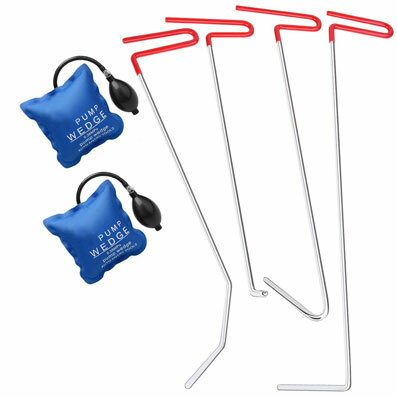 No more losing your keys, searching for keys when you’re in a hurry, locking yourself out because you forgot your keys. No more pat-down panic checking your pockets to make sure your keys are there or dumping out bags and purses looking for your keys. And, with Bluetooth smart lock you may not have to do anything at all, just walk up to the door and it will unlock for you! Individual custom access codes! 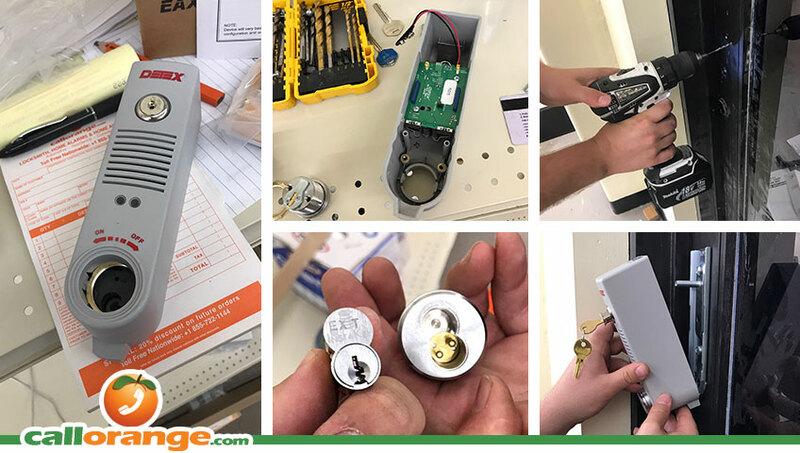 Many smart door locks also have the benefit of being able to custom program individual codes so that each person, service provider or department that needs access to your house, offices, storage closets, and other secured areas can have their own unique access code. Control access times! Not everyone need full access all the time. 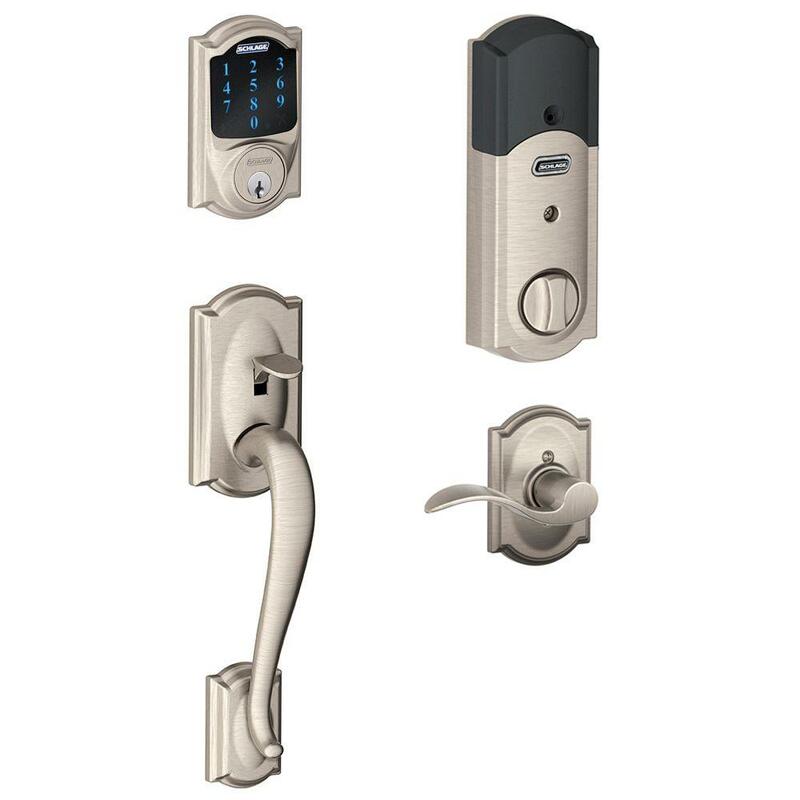 Many affordable smart locks enable you to add schedule times to the codes you assign to only provide access at set times. So if you have a house cleaning service that only needs to enter your home one day a week, during specific times or a business with employees that only need daytime access and supply delivery personnel that only need access to your office building at nigh, simply set up individual access during those times. Make new codes not new keys! No more need for people to return keys or having to change locks and cut new keys every time a key is lost or an employee quits! Simply delete old codes and make new codes for new employees, friends or family members! Instant alerts and notifications! 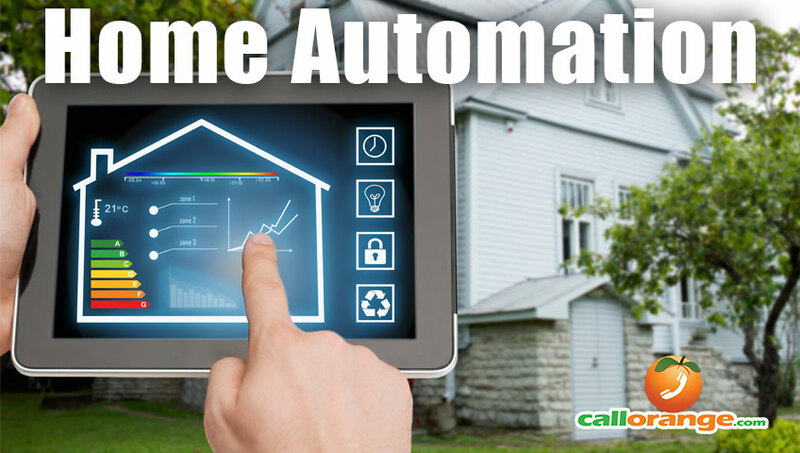 Want to be notified whenever a specific door is opened and by whom? Many door smart locks come with free apps that will send you alerts whenever a door is opened, who opened it and keep access records. 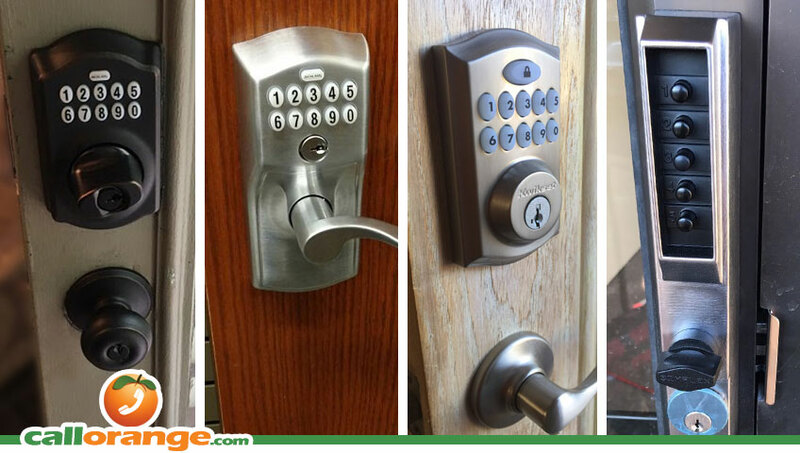 Improve security TODAY and have a keypad smart lock installed at your home or business! 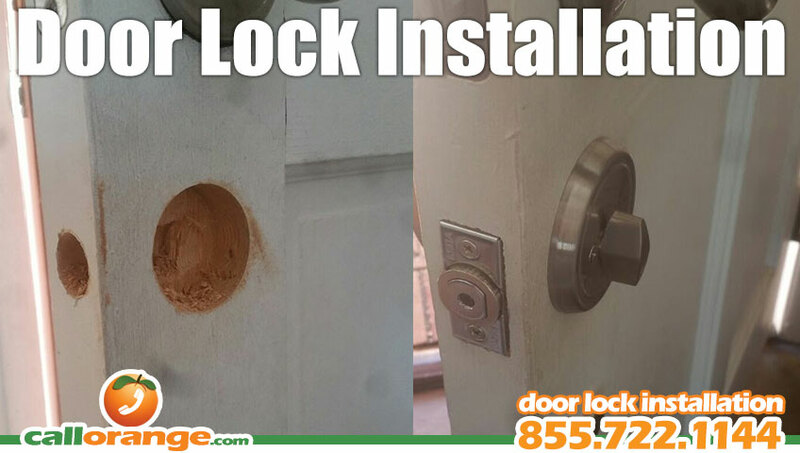 If you know exactly what type of lock and features you want, you can purchase the lock yourself and we’ll install it for you. 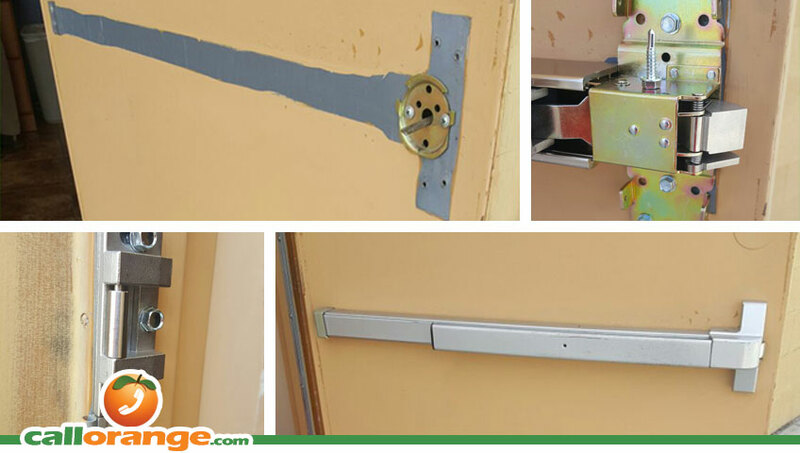 Not sure what will work for your door or what features are available for each lock? No problem. 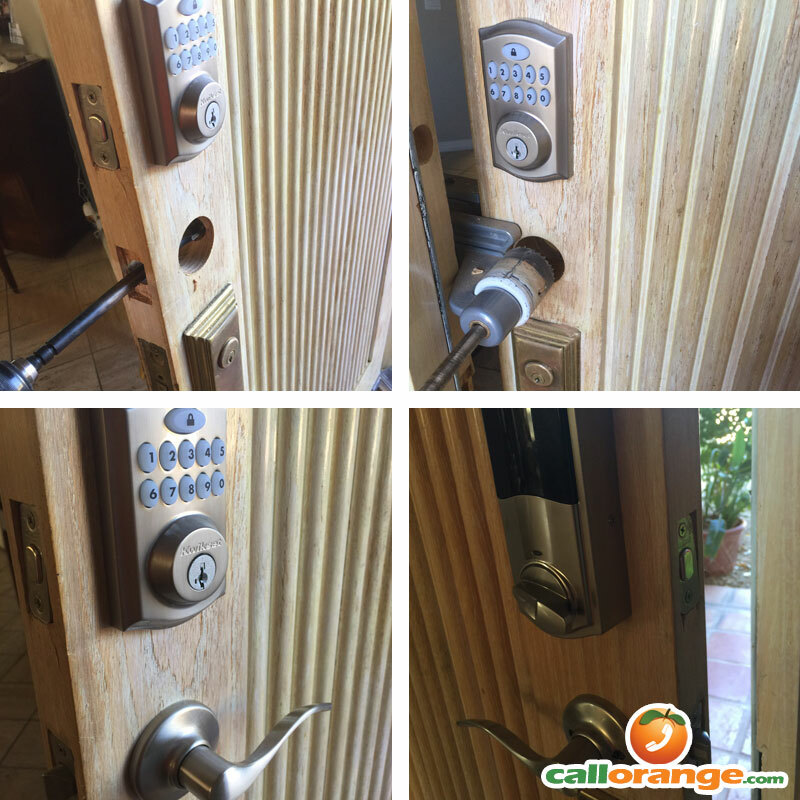 Call us and discuss your requirements with one of CallOrange’s independent locksmith technician and we can make a recommendation, purchase the lock and then install the lock for you and show you how to use it. Techs are available 24 hours a day, seven days a week to best fit your schedule for installations, upgrades and lock repairs at your convenience. Rekeying a lock is simply the process of changing the pins and springs in the cylinder of an existing lock. Over time and use the springs and pins can become worn and cause the lock to stop working, become difficult to turn with the key, or even become so worn out that the lock can be open with any key that fits into the cylinder. 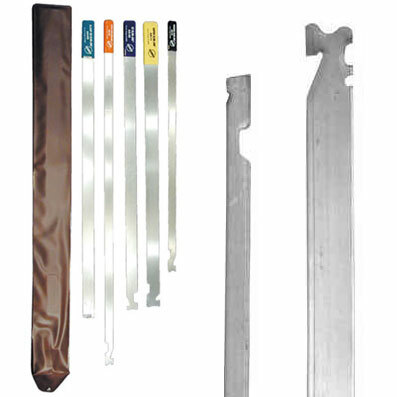 What are the benefits of rekeying a lock? There are a couple benefits to rekeying a lock. The first benefit is cost. A professional locksmith can determine if you need to completely replace a lock or if it can simply be rekeyed. Rekeying is just changing the pins and springs in the lock cylinder which is quicker and cheaper than replacing the entire lock. The second benefit is that you can rekey the lock to work with your existing keys or rekey all your locks to work with a single master key. 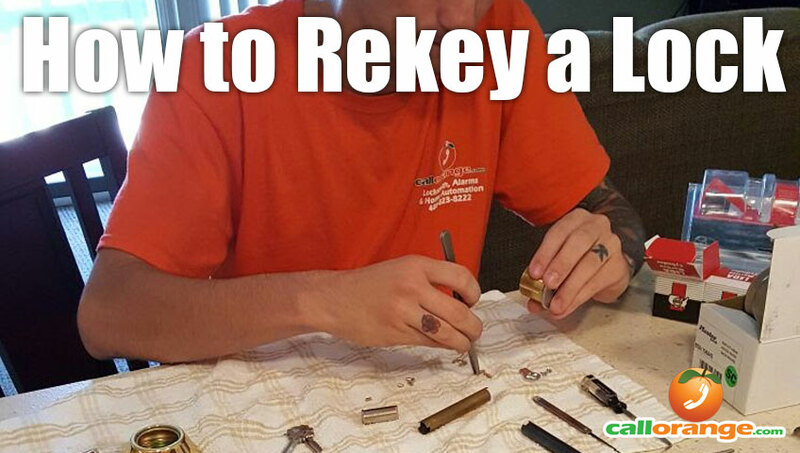 How do you rekey a lock? 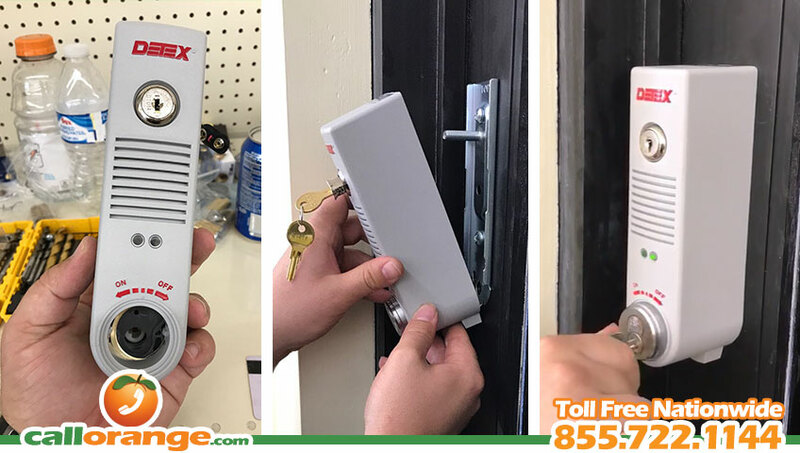 If you would like to have a professional rekey your door locks and deadbolts for you, give CallOrange a call today; we’re available 24 hours a day! 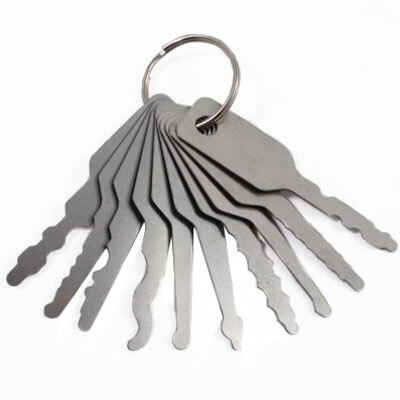 We can rekey your locks, create master key systems and provide discounts for rekeying of multiple locks.